Private capital’s demand for industrial, coupled with the already strong appetite from buyers, has been a contributing factor in the cap rate compression during the last few years, says Moore in this EXCLUSIVE. Todd Moore says investors are drawn to Houston’s economy because it is diversified and pro-business. HOUSTON—Industrial investors continue to remain drawn to Houston which has shifted from a sole focus on oil to e-commerce and other commercial real estate property types. So says Todd Moore, director of the Stan Johnson Company, who shared his insights into the strength of the industrial market and what is in store for the next three to five years in this exclusive. 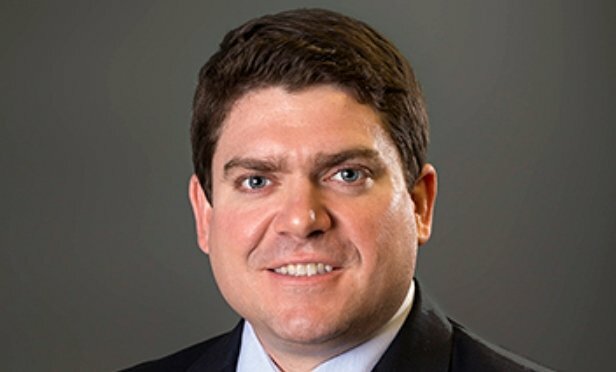 GlobeSt.com: What is the state of Houston’s industrial market? Moore: The Houston market is strong. We’ve been in the national spotlight for a while, dealing with everything from massive hurricanes to energy industry downturns, but the market has remained strong and resilient. Investors are drawn to the Texas economy, and particularly Houston’s, because it is diversified and pro-business. Demand for industrial, especially distribution deals, has overshadowed some of the negativity surrounding retail and the rise of e-commerce. GlobeSt.com: Which investor types are showing the most interest in Houston’s industrial properties? Moore: As evidenced by closed deals at the Port of Houston, we’ve seen strong interest from institutional capital to private capital. All buyer types have remained active in this market, but when it comes to really driving pricing, we’ve seen the private buyers get more aggressive on one-off asset purchases, especially our 1031 exchange buyers. In today’s market, we’re seeing a lot of private investors explore the net lease industrial world as they seek relief from the turbulent retail sector, or as they look to minimize their management responsibilities from traditional investment sectors like multifamily. The rise of private capital’s demand for industrial, coupled with the already strong appetite from our industrial buyers, has really been a contributing factor in the cap rate compression we’ve seen over the last few years. GlobeSt.com: What industries are driving growth in and around the Port of Houston? Moore: The petrochemical industry is really driving port activity these days, but demand is there from all types of businesses. For the last several years, it has been the tightest submarket in Houston with a close to 0% vacancy rate across the single-tenant sector. Growth in this area has been driven by investments made by petrochemical companies and refinery expansions, which has translated to tenant stability in and around the port, and growth among supporting industries. There has been a high volume of container traffic as a result, with the Port of Houston ranking second last year in total tonnage across US ports and six in total TEUs. The port handled 68% of Gulf Coast container traffic in 2017, and we expect to see that dominant level maintained in the coming years. GlobeSt.com: What are your predictions for this market in the next three to five years? Moore: With interest rates rising, everyone is watching the capital markets, but we expect Houston to continue being a target investment market across all product types, but especially industrial. The diversification in Houston’s economy, employment and population growth, and the pro-business environment should keep investment dollars flowing to Houston real estate. If we continue to see stabilization and continued increases in oil prices, that growth will also be a positive influence on Houston’s economy and commercial real estate market.